Home Must Know What To Do If An ATM Doesn’t Give You Money? What To Do If An ATM Doesn’t Give You Money? What to Do If an ATM Doesn’t Give You Money. It’s a rare occurrence, but a very frustrating one: When bank customers use an ATM to make a cash withdrawal, they may not receive all, or any, of their requested cash. However, the bank still shows the withdrawal from the customer’s account. ATMs occasionally malfunction, such as cash getting stuck in the machine, and sometimes there’s fraud involved. These issues almost always get cleared up, but they can create anxiety while you wonder whether or not you’ll get reimbursed or if the bank will even believe your story. What’s more, this mishap could cause financial issues if your account was already running low. In a best-case scenario, the bank or ATM operator will already know that the error occurred and will fix the error in your account before you can even get home and make a phone call. But in some cases, it’ll take more effort on your part. If an ATM fails to give you money, report the incident as soon as possible. Record the exact time, date, and location of the malfunction. If there are several machines at one location, which one was it? If you’ve got your phone handy, snap a few pictures and send yourself a text message for a digital record of when and where you got shorted. Don’t continue using an ATM that didn’t give you money. ATM problems can also be a sign of fraud, so minimize contact with that machine. File a claim with your credit card company immediately (if it was a credit card) or your bank (if it was a debit card). Let them know exactly what happened, as this is the fastest way to get funds credited to your account. Your card issuer will sort things out with the ATM operator. 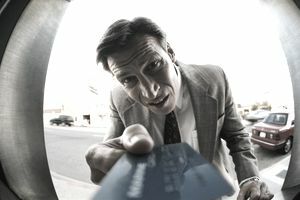 It doesn’t hurt to try and contact the ATM owner, but your bank has the ultimate power to fix the situation. Even for ATMs in the lobby of a bank branch, onsite employees most likely cannot open the machine or reimburse you. If you bank with that same institution though, bank employees can take your claim in person. If you use an ATM somewhere else, like at a convenience store, for example, it’s probably worth telling an employee there. They might have a procedure to help move things along, and they can alert others who try to use the machine. Under federal law, you are protected from these types of errors and fraud. Assuming you used a debit card, Regulation E (a Federal Reserve regulation that details rules and procedures for electronic funds transfers) provides that your bank must investigate the incident and resolve your claim against the ATM operator. After you notify your bank of the missing money, the bank will begin an inquiry. You should then see funds credited to your account within 10 days, known as a provisional credit, but many times it’ll happen within a day or so. The bank calls this credit provisional because you only get to keep the money if the bank finds an error. If the bank decides against you, it will remove the credit, and you’ll be responsible for replacing the money if you already spent it. Your bank has 45 days to investigate ATM withdrawals (90 days for other types of disputes), so nothing is certain until you hear back from the bank. The bank and ATM operator will do what they can to find out what happened: watch surveillance video, count cash in the machine, look for hidden devices that might have trapped the bills before they got into your hands, and more. This doesn’t make things any easier in the short-term, but there’s a very good chance that you’ll be reimbursed eventually. If you’ve been unlucky enough to find a bad ATM, hopefully, you’ll find consolation in knowing that, based on the odds, chances are low it will ever happen to you again. Previous articleDo You Know PPF 15 Important Rules? Know Here. Next articleDon’t Fall For This EPFO ‘Scam’ While Withdrawing PF.